Price: $55.99 Blu-ray/DVD Combo – Buy now! If you’ve been following anime localization to the West then you may remember that Nippon Ichi Software America (NISA) have been bringing a number of anime to North American shores for nearly a year now. Now, for the first time, the company has released two anime series in dual format and released them in a combined package of Blu-ray and DVD. Of course, what better way to watch an off the walls comedy such as Arakawa Under the Bridge than in the best format possible to date? 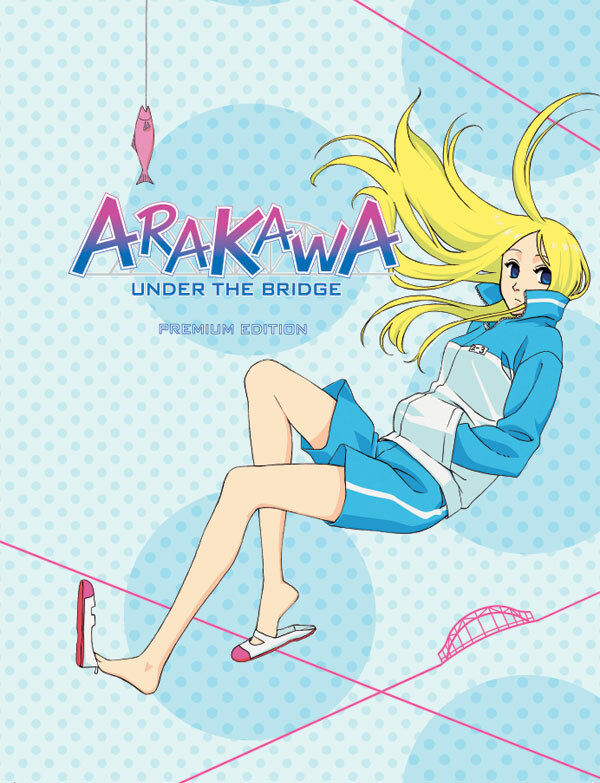 Arakawa Under the Bridge first began in manga format back in 2004 and last year was made into an anime. The company in charge of bringing this unique manga to television screens was SHAFT, a very unique animator with a number of traits. How does Arakawa Under the Bridge feel now that it’s been released out into the daylight of American shores? 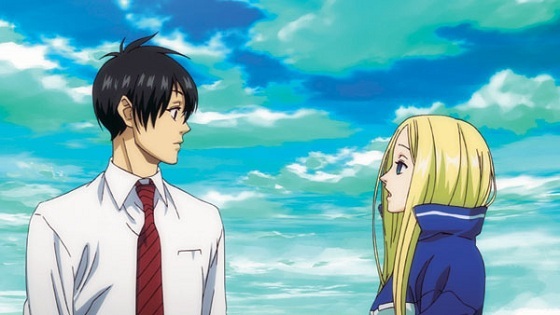 The story of Arakawa Under the Bridge follows a young man named Ichinomya Ko. Ko is the twenty year old heir to one of the most successful and powerful international corporations in the entire world. He has always been a man at the top of the world, with great looks, intelligence, money by the helicopter load and usually talented at everything he does. That is of course until one day he gets pantsed on a bridge by a group of punk kids. Now these kids did a bit more than simply pants him, they also hung his pants up on a bridge girder. Now Ko’s family has a unique trait about themselves, they simply refuse to be indebted to anyone. This only becomes worse when Ko finds that a girl is sitting only a few feet away from him fishing. She offers to help him but he refuses her help, instead he tries to climb the girder himself only for it to fall into the water on top of him. He learns that the girl is named Nino and that she has nothing she wants from the Ko in the way of goods or services. Despite being a homeless girl living under a bridge by the Arakawa River she only has one method for Ko to repay her, and that is to become her lover. To make matters worse she also tells him that she is Venusian, or from Venus. Ko takes her up on her offer to become her lover (boyfriend) and joins the family of strange people living under the bridge over the Arakawa River. He is introduced to the residents living under the bridge over time, and is named Recruit by the Village Chief after it is said that every resident under the bridge is given a new name. At the same time he realizes that, despite her belief that she is from Venus, Nino is perhaps the only sane member of the village. He quickly builds a house for himself on top of one of the bridge’s supports and settles in to his new life among the strangest people you could ever imagine… even in an anime. Now, although Arakawa Under the Bridge is billed as a thirteen episode anime series, there are actually many more. Each episode actually contains at least five chapters in each episode. This lives up to the fact that each chapter of the original manga was rather short and the gags came fast and hard. This also translates perfectly into the series itself. These chapters are often connected with one another and form a rather intriguing story. To make things even better, the flow is so flawless that, despite one chapter ending the episode and the next chapter starting the next episode, it didn’t even feel like a break of pace. The reason for this is that the amount of gags and jokes are quite hilarious. There are many times that viewers will find themselves laughing every few minutes thanks to the comedy that is completely off the wall thanks the unique characters living under the bridge which I will mention later. One drawback however is the fact that when a gag falls flat, it falls hard. Also, although the chapters and episodes run pretty well together, there is usually very little story progression outside of the fact that Recruit (Ko) tries to accept the crazy life under the bridge. Earlier I mentioned that the studio that was behind the creation of Arakawa Under the Bridge the anime was SHAFT. Anyone familiar with SHAFT’s other anime should understand what this means. The company’s unique traits return in Arakawa as they often use open spaces in the environment to put a little side message in for emphasis to the events occurring on screen, as well as the use of a relatively faded looking color palette. Despite this however the animation is extremely clean and crisp. Backgrounds are strange at times but they are certainly a sight to behold as they are usually highly stylized and wonderful. The character designs themselves are easy to look at, which is impressive considering the oddity of the characters themselves and their appearances. The animation doesn’t dip at all and the fact that the series can now be seen in Blu-ray makes everything all the much better. The DVD version looks just as good, though things still appear slightly less crisp than in the Blu-ray disks. As one would expect, Arakawa Under the Bridge’s music ends up falling into your standard slice of life category of background music. There are a few pieces of inserted instrumental music, though the true highlight of the musical department is the opening and ending sequences. The opening song “Venus and Jenus” may look a bit strange thanks to the animation but the music itself will leave you often watching the entire opening sequence even if you are on episode eleven and have already watched it ten times. There is also a special opening song for Episode 5 which is called “Think up a title yourself” and will have the viewer laughing just as much as the actual episode itself will. Arakawa Under the Bridge’s voice work is certainly well done. They may not sound like the best cast when you first are introduced to them but they end up growing on the viewer over time. The only problem with this is that some may be a bit disappointed at the beginning by the voicework. 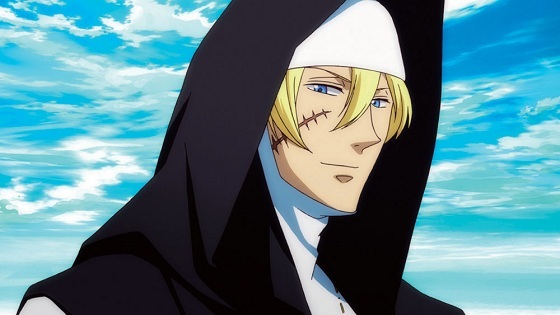 Considering Arakawa Under the Bridge is only subbed in English and retains the Japanese voices this means that unfortunately there is no chance for a change. The subtitles themselves are good at what they do. Whenever SHAFT’s animation places text somewhere in the scenery or on someone’s clothing the subtitles showing what is written will often appear at the top of the screen to help distinguish between the lines being said outloud and the translated kanji. Though there is a very large cast of characters living under the bridge, the anime itself essentially only focuses on Ko and Nino. As I said before Ko is a man who has never had any shortcomings, he is extremely intelligent and gifted at nearly anything he does and holds himself to the family rule that he would never be indebted to anyone. If he ever becomes indebted to someone and cannot repay it back somehow, he begins to suffer an asthma attack due to the stress of breaking his families rule. After being renamed by the Village Chief he is called Recruit or Rec for short. Rec’s unique personality and sense of entitlement usually puts him at odds with the rest of those living under the bridge, especially since he doesn’t easily accept most of their quirks. 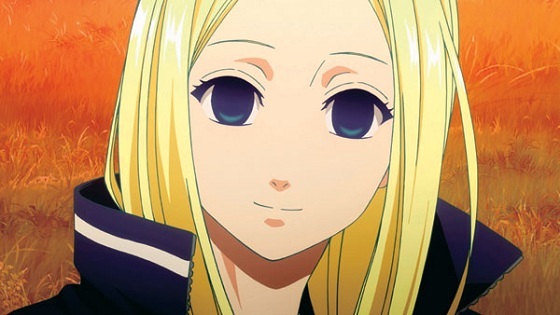 Nino is the other main focus of the anime. She is a self-proclaimed Venusian who saves Ko’s life and requests that he experience love with her to repay the debt. She is a very gifted swimmer and often gathers fish for the residents under the bridge. She is a bit of an airhead and her unique character design includes distant looking eyes. Besides these two there are many other unique people under the bridge, including the Village Chief who is a self-claimed Kappa, although he often exposes regular skin underneath the green costume he wears. 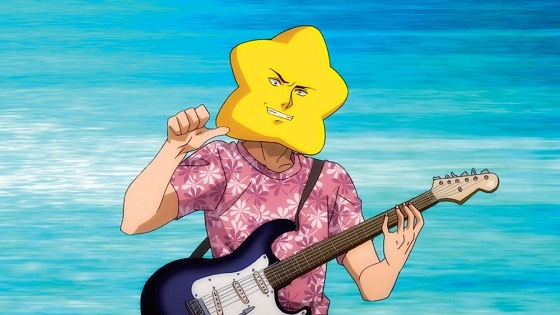 A singer named Hoshi who wears a yellow star mask over his face all the time, he is jealous of Ko due to his relationship with Nino and his long unrequited love for her. This is topped off by a man named Whitey who can only walk on white lines, a nun named Sister that looks like a walking tank, a woman named Maria who cares nothing for humans and more. Everyone under the bridge serves a purpose to the others, allowing the group to function much like a small village despite their very eccentric ways. The problem with having so many different characters in an anime that is only 13 episodes long has a very limited time for character development. This means that the majority of the side characters actually see very little development at all, and except for a few of the main characters they only will appear every so often or be in the background during other scenes. This can be irritating for the viewer because there is a lot of unexplored mystery to the residents and we learn little about their past or why they even act like they do. As with any of the past NISA anime releases Arakawa Under the Bridge comes with an oversized collector’s box which also comes with an art book. The box itself is extremely sturdy and features a glossy finish on both sides, one featuring Nino on a blue background and the other side featuring Ko on a pink background. As mentioned, the box is quite large, which means you will either need customized shelves or a place to sit it out as an art piece on its own. The artbook itself is quite detailed this time around as it carries character biographies of all the people under the bridge shown in the anime, a synopsis of each episode, interviews with the cast and crew from Japan and of course some actual art too. The book is best saved until after watching the anime however, as it may spoil a number of surprises that you would experience otherwise. Besides the extra bonuses, we are also treated to some on disc bonuses. Ten of the thirteen episodes have audio commentary that can be played during the episode and subtitled instead, as well as commercials from the series when it was advertised in Japan. There are a lot of things that can happen under a bridge in normal life, but this is far from normal. Arakawa Under the Bridge is certainly full of oddity at times but it certainly works in the shows favor. It is a very entertaining and funny anime series that doesn’t have to even try hard to make the viewers laugh, as simple gags can turn into hilarious moments. This series is genuinely funny and that is a hard compliment to come by these days. The eccentric characters are one of the shows main highlights, though it is a bit disappointing that a number of them see little actual development or information revealed.